"Welcome to an enchanted Masquerade Ball, where Disney villains, Princesses and Pixies alike endulge behind extravagent masks that hide their true identity. Each mask rotates to reveal who hides beneath it." 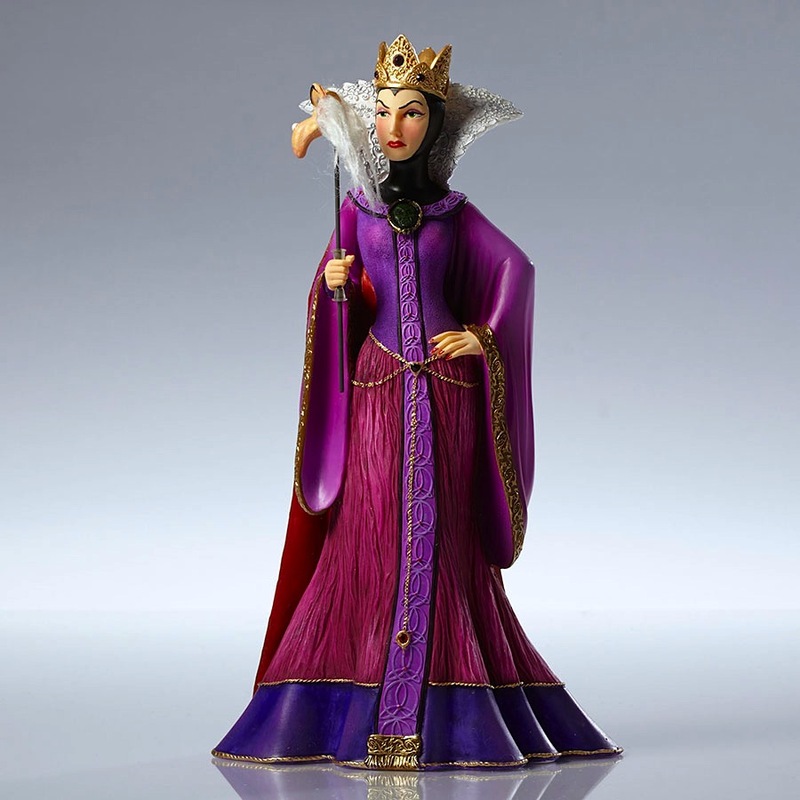 A new collection from Enesco and the Couture de Force Collection will be released this summer with a new twist on the series. The Couture de Force Collection continues to grow this year with the addition of Elsa, Anna, Mulan, Mickey, Minnie and Jessica Rabbit to their main series. 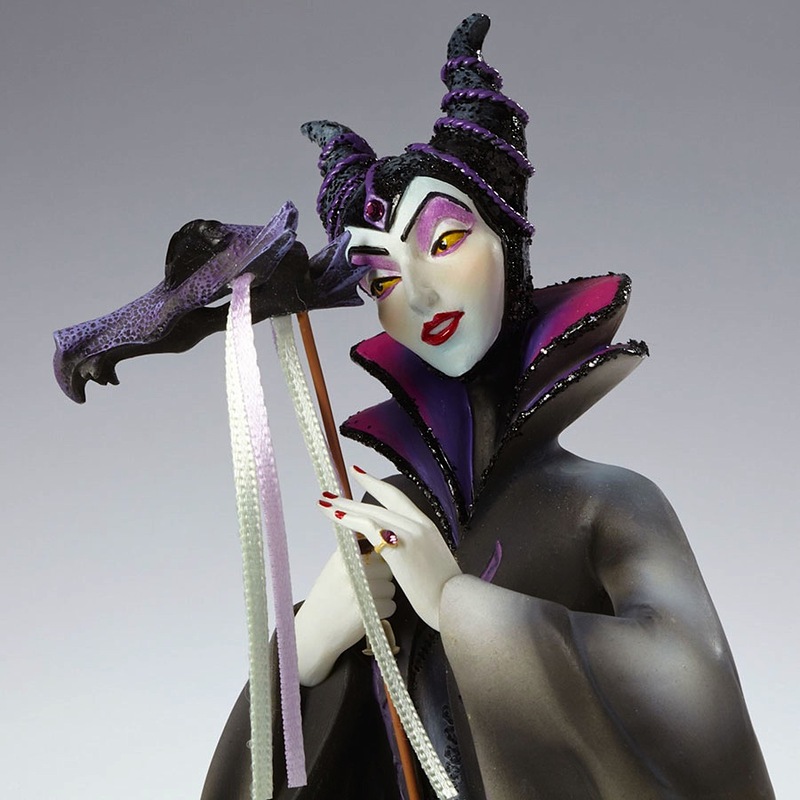 A new collection scheduled for a summer 2015 release is the Masquerade Collection - to include Snow White, Evil Queen, Aurora, Maleficent, Tinker Bell and the first male character of the line Captain Hook. 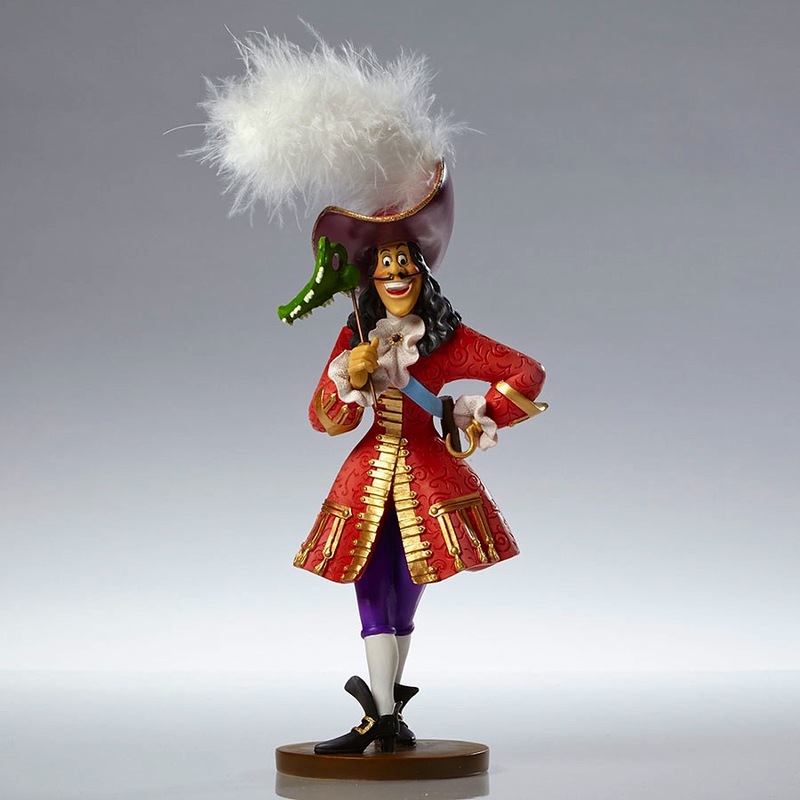 Each statue will still feature intricate details, gems and special paint applications, but the new feature of this collection will dress characters in masquerade attire complete with mask. The mask will have the ability to rotate in the statues hand to be displayed in two ways, with the mask covering the face or away from the face. They will retail for $80 each and will be available through dealers and in Disney Parks. 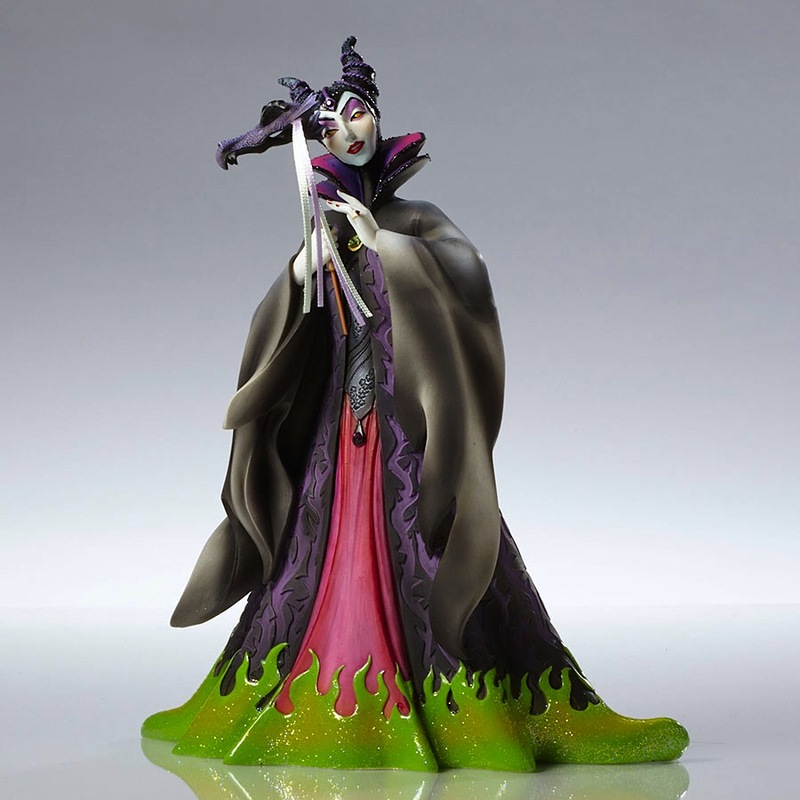 To See More Visit Enesco's Website.